The end of the year is traditionally when one looks back on what was and looks forward to what may come to be. Washington DC based Post-Punk band Dot Dash have the sound of the perfect accompaniment to said inner-reveling. Their album Half Remembered Dream, released earlier this year is one that slipped under our radar initially, but circumstances conspired to make it come our way again. Post-Punk can have some fast-forward inducing qualities to it occasionally but on this album the pop element in the smooth production stops any such action. Released by the very lovely named Canadian label The Beautiful Music it’s an album that doesn’t seek to assault you with too much noise or even to underwhelm you with a sparsely produced quality. Simply put this is music that does its job – groundbreaking it isn’t but that’s not the point. You could do far worse than settle down for a session with the rather good Half Remembered Dream. With most of the songs under three minutes there is little room for boredom or over egotistical riffs and that makes for a listen that cruises along very nicely. Songs such as the punchy melodic punk flavour of Do Re Mi the more doom laden hands of Time are pleasant if enjoyed with not too much expected of them. Post punk is just what it says on the (very battered) drum tin and without too much expectation, always a killer; this is a very listenable album. Song Bloom/Decay shines among the selection of songs with its well layered and complementary production and stands as our highlight from Half Remembered Dream easily. This is not music that will shatter your expectations out of the glass ceiling but you can’t argue with the effort the band have gone to in making an album that isn’t just a layer of static or noize. 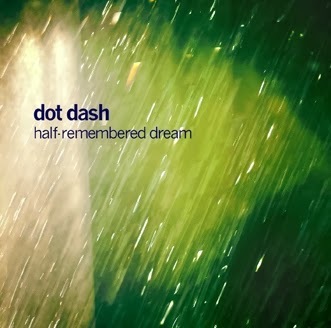 With time there will be something excellent from Dot Dash, but we find them keeping their heads up admirably on Half Remembered Dream.